can mean one airplane or many airplanes. 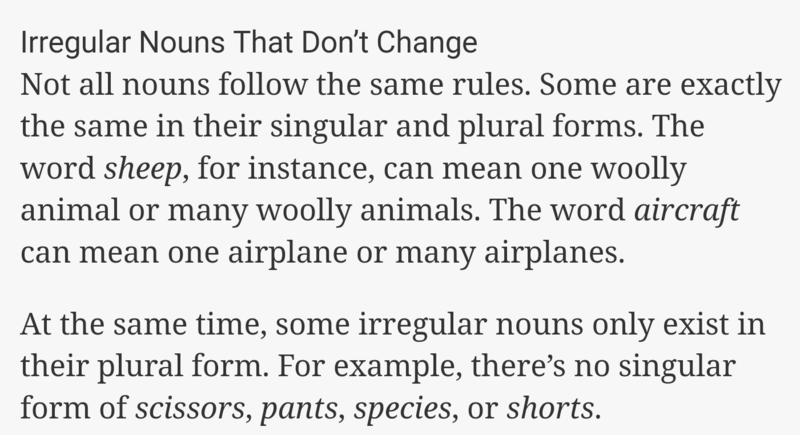 scissors, pants, species, or shorts. ; he’s been sick for a week.” The two independent sentences could be separated by a period. 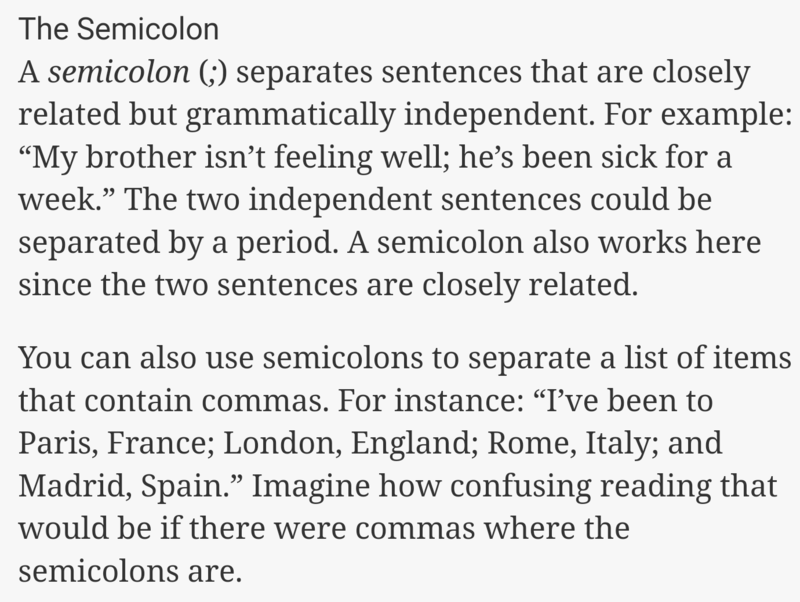 A semicolon also works here since the two sentences are closely related. ; London, England; Rome, Italy; and Madrid, Spain.” Imagine how confusing reading that would be if there were commas where the semicolons are. , goes to my school.” Who has red hair, is information that doesn’t change the meaning of the sentence if it’s removed. 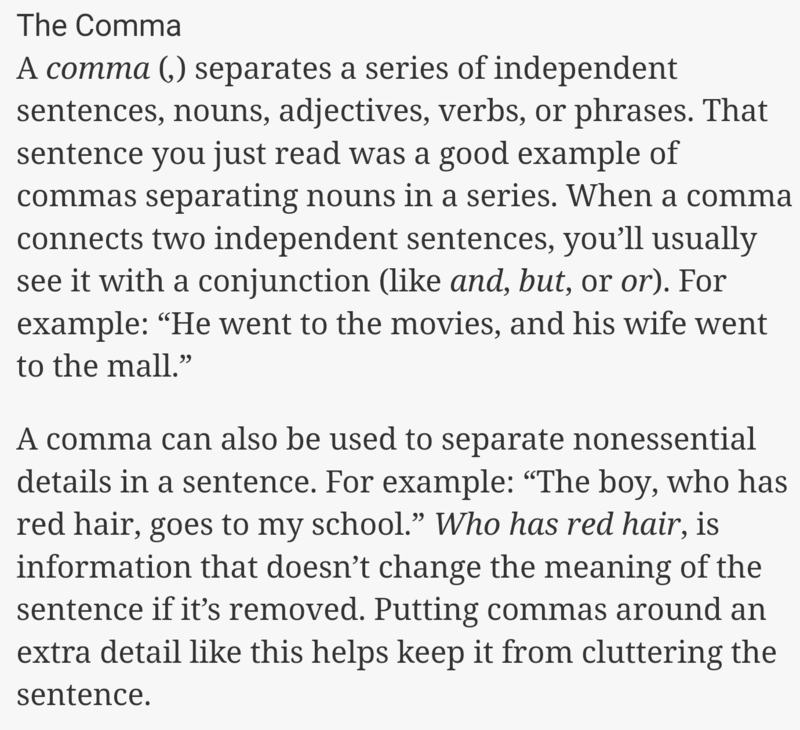 Putting commas around an extra detail like this helps keep it from cluttering the sentence.